This Valentine’s Day I think I gave my husband the perfect gift of love. It is a gift I knew he would want – practical and deeply necessary. The Modern Life Study Bible: God’s Word For Our World from Thomas Nelson is honestly the best Valentines Day gift for my husband. 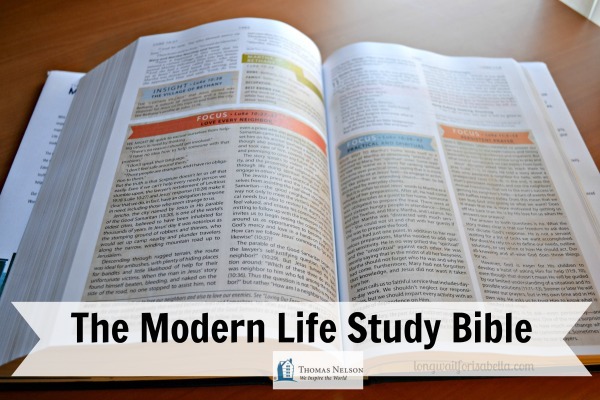 Using historical context and fresh insights backed by biblical scholars, The Modern Life Study Bible explores the timeless truths that connect the people and stories of the Bible to the opportunities and demands we face today. 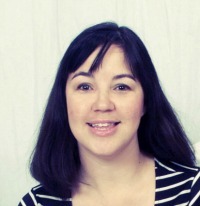 We still wonder who God is, how to discern His will, and how we fit into His plan. God is at work in our world, inviting us to experience His presence. The Modern Life Study Bible is designed to draw you in, helping you to know and embrace what it means to follow Christ in today’s world. In addition to being fully printed in color, features of this Bible include 66 inspirational biographies, indexes to aid navigation and study, in-text maps, reading plans and more! I love this Valentines Day gift so much that I’ve been using it too! Isn’t it nice when couples can share? This really is a great study Bible. Though, I may not “agree” with all the study helps doctrinally the practical tips, biographies, and reading plans are awesome! Does someone need a new Bible in your life? Do you? 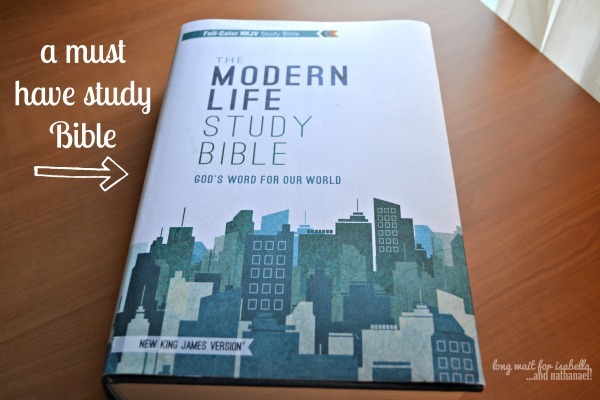 If so, I highly recommend The Modern Life Study Bible. Do you and your spouse exchange gifts on Valentine’s Day? If so, what was on your gift list this year? By the way, I have a few different versions of the Holy Bible. 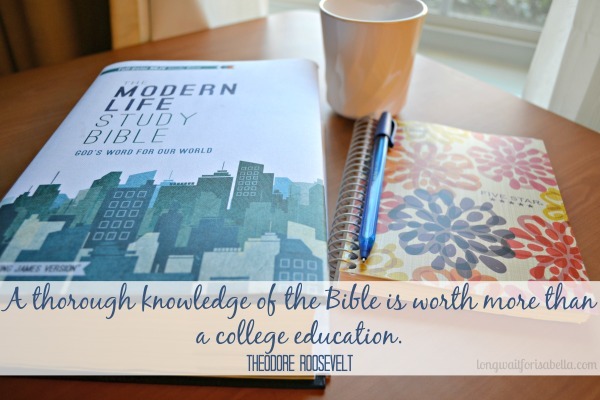 Study bibles are great as a reference for those just starting to read. The Kings James version can be a bit confusing to begin with. You gave your hubby a great gift. My hubby got a Hyloft garage ceiling shelving unit, some silky undies and candy. He’s been trying to organize our garage and I felt the shelving would help get things done in a shorter amount of time. He really liked it. I like the undies myself. hehee! I like going to get a few of my favorite candies the day after each holiday. 🙂 This year I asked for a blog makeover. So that’s what I got. I’d rather have that than candy, perfume or pajamas any way. I am glad this is the New Kings James Version – much easier to read! Wow this looks cool, i think my dad would really be into this! My husband and I exchange homemade valentine days treats. I make him homemade peanut brittle and he makes me chocolate covered strawberries. I love this idea, Michelle. I think I will talk to my husband about doing handmade gifts next year! Thanks for sharing.